There are few Rocket League pros that are more recognizable than Mariano "SquishyMuffinz" Arruda. Cloud9’s all-star playmaker has arguably one of the highest mechanical ceilings the game has ever seen. 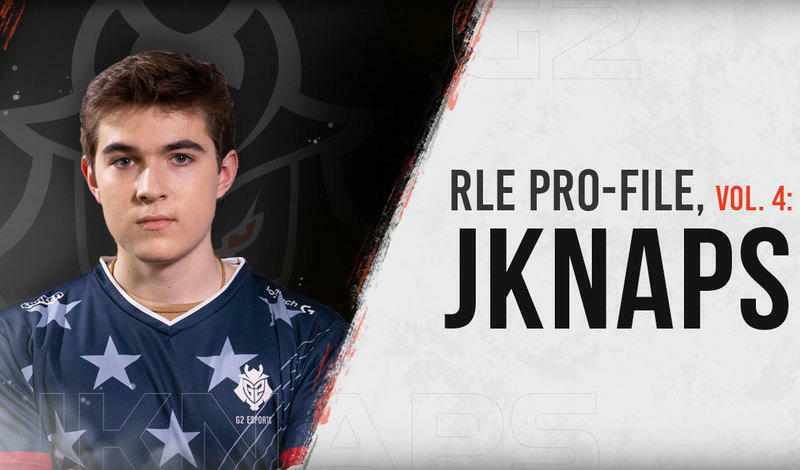 His immaculate car control, paired with his uncanny game sense, have turned him into one of the most formidable players to ever hit the Rocket League Championship Series (RLCS) pitch. His fluid style makes playing the game at a high level seem like an absolute breeze. Yet this couldn’t be further from the truth. SquishyMuffinz’s technical prowess may make the game look easy, but his mastery and creation of mechanics is the result of thousands of hours of focused, dedicated work. SquishyMuffinz has dedicated an immense amount of time to perfecting his craft. 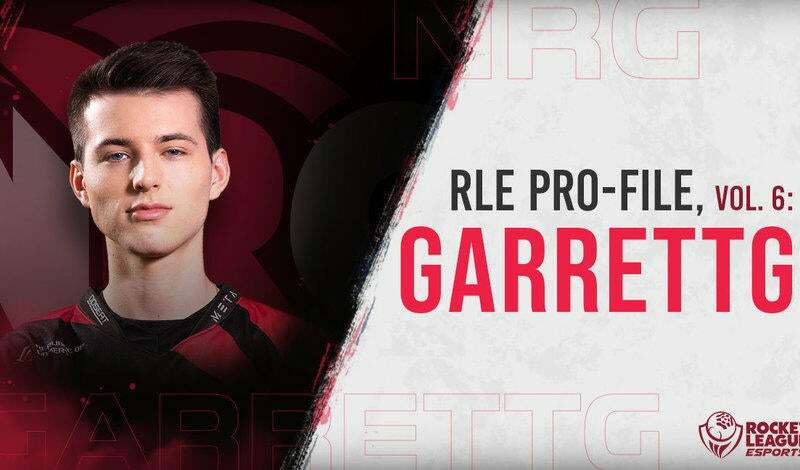 He originally started playing during Rocket League’s beta phase in 2015 and it quickly became an extension of his innate competitive drive. Ever since he was a kid, SquishyMuffinz loved soccer. He even dreamed of going pro once he got older, but his asthma made running for long periods of time nearly impossible. So, once he got his hands on Rocket League, it was a natural fit. “It was when I realized my dream of becoming a professional football player was out of reach that I got into FIFA [...] Then I discovered the Rocket League beta was coming out and fell in love with the idea of the game,” says SquishyMuffinz. “Rocket League gave me a concept I loved and allowed me a second chance at a dream I couldn’t be held back from this time.” With his mind made up and his sights set on professional play, SquishyMuffinz devoted much of his free time to training himself to become a better player. He’ll often practice these types of complex mechanics in Free Play until he can utilize them correctly on more than 90% of his attempts. This makes it muscle memory by the time he wants to pull them off on the RLCS pitch. He knows he’ll only get the opportunity to employ them a handful of times, but if they hit, the results can be absolutely game-changing. All of the work SquishyMuffinz put in off-stage culminated in one of the most exciting RLCS World Championship runs we’ve ever witnessed. After getting knocked down to the Lower Bracket on day one of the Season 6 World Championship, things were looking bleak for Cloud9. “It’s definitely overwhelming to look at how far you have to go to get to the Finals,” says SquishyMuffinz. “We talked about it and our mentality was ‘one series at a time.’” True to their words, match by match, Cloud9 worked their way through the Lower Bracket. It was full of close calls and tense moments, but by the end of day three, SquishyMuffinz and Cloud9 were in the Grand Finals facing off against Dignitas, one of the most formidable Rocket League teams ever assembled. Then it happened. With fans around the globe watching and the defending World Champions on ropes, SquishyMuffinz passed the ball to himself and outplayed the Dignitas defense with one of the most difficult mechanical moves in all of Rocket League: a flip reset. “I couldn’t believe we did it, the clock counted down in that final game and all of our faces were just pure relief and disbelief,” reminisces SquishyMuffinz. “It’s still crazy to me looking back on what we did.” It was a singular moment, seemingly suspended in time, that SquishyMuffinz had built towards with thousands of hours of practice. It was validation of all the hard work that he had devoted to the game and it was a play that cemented his spot as one of the top players in the world. Not only is he one of the best players in all of Rocket League, but he’s also become one of the most well-known. In addition to spending unreal amounts of time honing and expanding his skill set, SquishyMuffinz has also devoted himself to building one of the fastest-growing Rocket League communities out there. It wasn’t always that way, though, and building that community required just as much dedication as his mechanics did. “I remember streaming and only having one or two people watching me every stream,” recalls SquishyMuffinz. “And uploading a video and only getting 10 views and being so happy that those 10 people would enjoy watching me.” Those humble times wouldn’t last forever. Through hard work and years of perseverance, SquishyMuffinz’s audience started to grow — and fast. “I’ve been doing what I’m doing for almost four years now,” explains SquishyMuffinz. “And it wasn’t until Dreamhack Atlanta that everything started growing so much quicker.” Once the snowball got rolling, it was hard to stop. Followers and fans began pouring in to see both SquishyMuffinz the player and Mariano Arruda the person. Even though the growth has been staggering, SquishyMuffinz has struck a near-perfect balance between professional play and content creation. 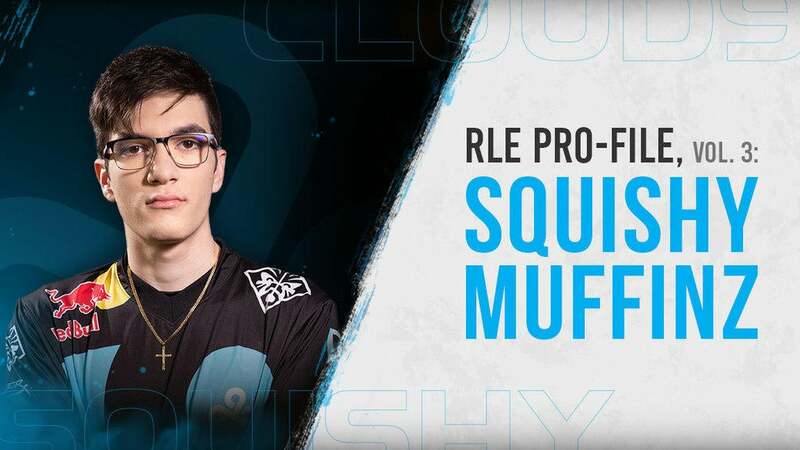 “I’m going to continue doing what I do content-wise and trying to be the best I can be for my teammates,” says SquishyMuffinz. SquishyMuffinz credits Rocket League with giving him a second chance on his childhood dreams, but it’s the Rocket League community that’s gained from SquishyMuffinz’s professionalism and commitment to bettering himself and those around him. At this point, it’s probably wise for us to just buckle up and get ready for whatever SquishyMuffinz has up his sleeve. And if the past is any indicator, we’re going to be in for one wild ride. Want to keep up with SquishyMuffinz? Be sure to follow him on Twitter and follow him on Twitch so you can jump in and say hi whenever he’s live.